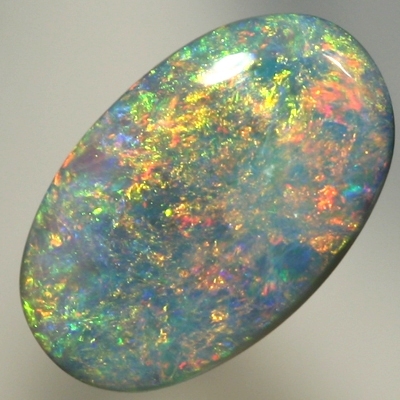 A magical opal, bursting with bright rose red gold & orange gold. 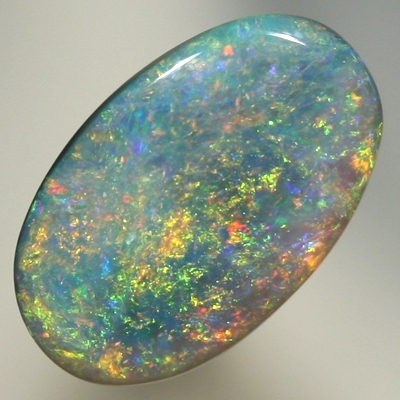 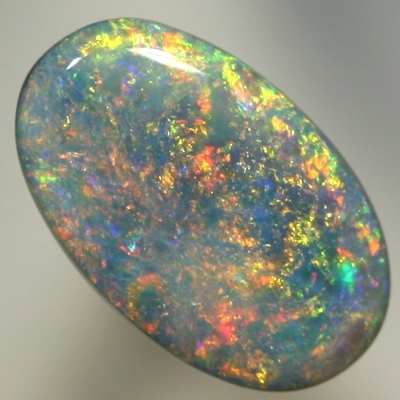 Very bright fire rages across the opal all over a beautiful constant turquoise blue background. 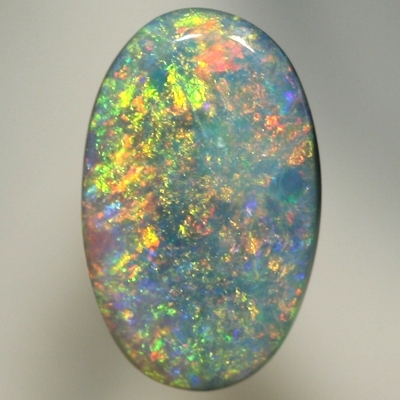 A touch of green and yellow shows there faces in certain lights. 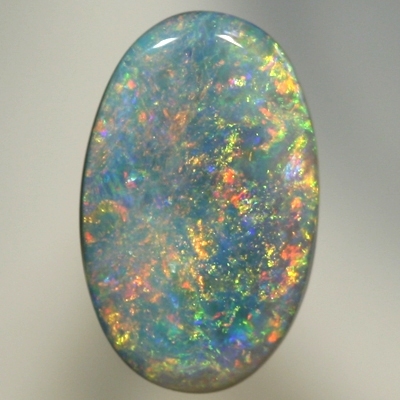 This breathtaking opal shows gorgeous and very vivid colour from all angles, spectacular in low to moderate lighting as well.